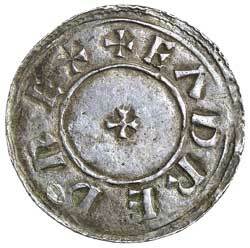 EADRED, (946-955), small cross penny, (1.40 g), Oswald moneyer, (S.1113, N 706). Lightly toned, nearly very fine and scarce. 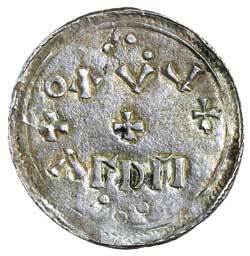 Ex Matthew Rich Collection and previously Spink Auction 16019, lot 183. Also Baldwins private sale 30 November 2005. From the Lord Stewartby Collection.